It kinda slays me to do the math and realize that it’s been more than 20 years since “Buffy the Vampire Slayer” aired on television. There was a time – while working on two of the non-fiction companion volumes for “Buffy” and “Angel” – that I was at least as invested in the lives of the characters and the events in their universe as I was in the lives of some of my real life friends. I was incredibly enthusiastic when Kiersten announced that the licensors had rebooted the tie-in novels line, with her as the author. 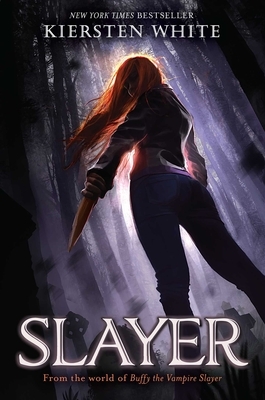 Slayer does a fabulous job of being true to the sensibility and girl power of the show, novels, and comics, while also being accessible to readers who may be new to Slayers, Watchers, Hellmouths, and more. I read it like a nice life update from a friend I hadn’t heard from in a while, and am excited for more.